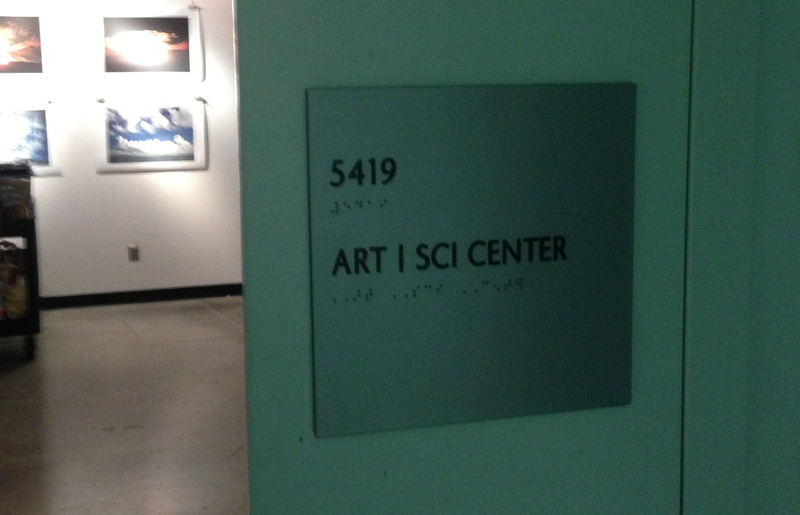 The Art|Sci Studio|Lab at the Broad Arts Center is where brainstorming and meeting occurs, and where the Art|Sci team maintains an extensive digital and physical archive. Most exhibitions at the center occur in the Art|Sci Gallery, located on the 5th floor of the CNSI, adjacent to the Presentation Room. 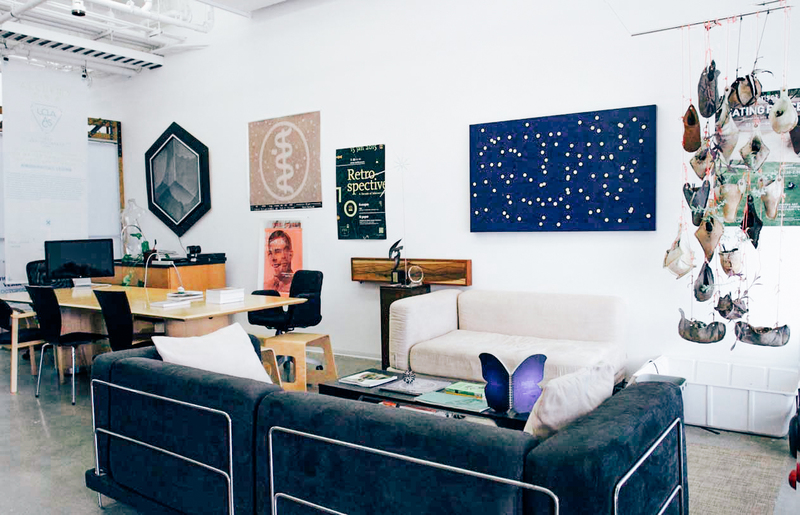 This is a small space dedicated to featuring work that is collaborative and pushes the boundaries of art and science. We are particularly interested in work that is in progress and allows for a dialogue and participation with the audience. As an experimental space, the Art|Sci Gallery has given many artists and scientists the opportunity to manifest new ideas and gauge their reception with the public. 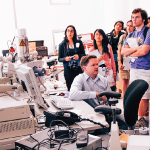 The Nano and Pico Characterization Lab (NPC) at CNSI provides access to state-of-the-art methods toward the characterization of surfaces, adsorbates, nanostructures, and devices through the use of Scanning Probe Microscopy (SPM). 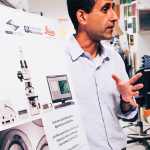 The facility includes Scanning Tunneling Microscopy (STM) and Atomic Force Microscopy (AFM). 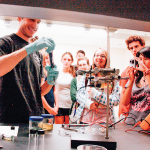 Gimzewski’s current interests are in the nanomechanics of cells and bacteria where he collaborates with the UCLA Medical and Dental Schools. He is involved in projects that range from the operation of X-rays, ions and nuclear fusion using pyroelectric crystals, direct deposition of carbon nanotubes using atmospheric plasma techniques and single molecule DNA profiling. 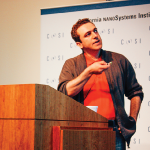 Recently his research has focused on self organization and emergent behavior using a device called the atomic switch network (ASN) which aimed at creating a synthetic neocortex using self assembly atomic switches that act as synthetic synapses. Advanced Light Microscopy/Spectroscopy Shared Facility provides researchers with cutting edge techniques to allow for the structural and kinetic studies of a myriad of macromolecules. This facility utilizes techniques such as spectroscopy and image analysis by using fluorescent semiconductor crystals and quantum dots to image these macromolecules. 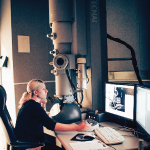 The Electron Imaging Center for Nanomachines (EICN) allows researchers to image a range of substances in 3D at high magnification. 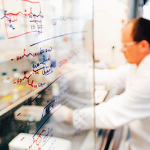 It’s focused on comprehending the mechanisms of life’s workhorse: proteins. 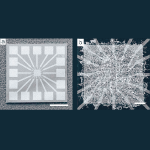 The facility includes single particle cryo-electron microscopy (cryoEM) at near atomic resolution, and cryo-electron tomography (cryoET) at molecular resolution, high-resolution transmission electron microscopy (TEM), as well as scanning transmission electron microscopy (STEM) and energy dispersive X-ray (EDX) analysis for mass and elementary mapping. 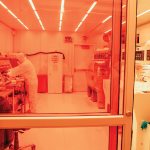 The CNSI ISNC consists of 8,900 square feet of vertical-flow clean room space and 680 square feet of purified air, and provides facilities for chemists, biologists, doctors and engineers to work with DNA, biological molecules, and for more traditional nano-device fabrication. 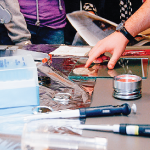 The fabrication and electronics labs provide students and faculty with physical computing and fabrication resources. 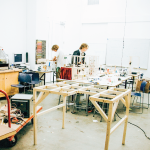 Located in room 2250 on the second floor of the Broad Art Center, the fabrication lab facilitates physical construction across several different media, including wood, metal, and plastics. 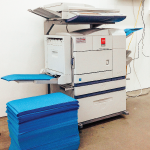 The Print Lab offers high quality laser and large format poster printing on various paper stock. 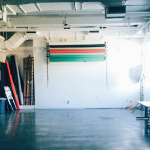 The shoot room is a dedicated studio used for professional photography and video production. 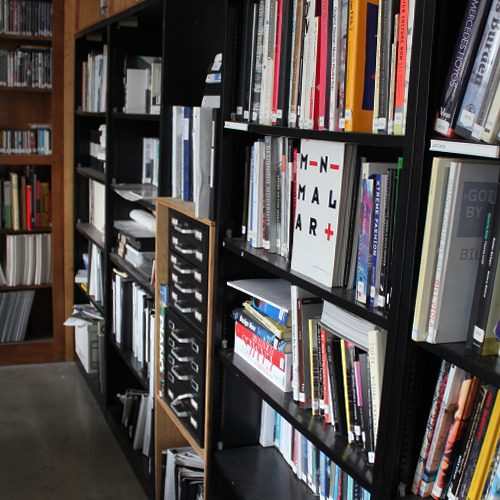 The Media Arts Research Space (MARS) provides faculty and graduate students access to hard to find audiovisual material and literature from the fields of media arts and design. MARS contains several hundred videotapes, laserdiscs, CD-ROMs, DVDs and books. It also has basic viewing facilities for video, DVDs and laserdiscs, as well as for Internet-based works. The collection is curated by Professor Erkki Huhtamo. The Cohen Lab has developed techniques which help contribute to the understanding of the most complex and essential part of the body: the brain. 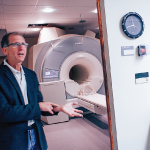 This lab has contributed to an understanding of the power of pattern recognition and machine learning to both interpret/classify neural data and as a source of discovery of the processes that result in cognition, perception, emotion and pathology. 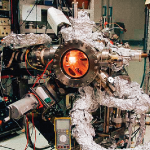 The Basic Plasma Science Facility performs frontier-level research of the plasma state of matter. Research on the fundamental properties of plasmas aids our understanding of applications ranging from fusion energy to space science. Our lab would like to understand the grammar and meaning of bird songs. Bird songs are not random; they do have rules for putting notes and phrases together. We would like to characterize those rules. Recent advances in sensor arrays, computation, and computational linguistics finally make this long-sought goal achievable. Our work may also be transformational to computational linguistics if the natural world beyond humans were shown to have languages that are radically different from our own (as seems quite likely). The Ozcan Research Group focuses on innovating telemedicine technologies for global health systems. The Dunn Lab researches the synthesis (often using sol-gel methods) of materials with unique electrical and optical properties. 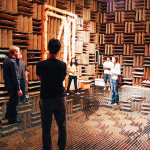 The Putterman Research Group conducts acoustics research involving sonoluminescence, crystallic fusion, turbulence, and triboelectrification. Dr. McCabe’s research on single gene disorders that lack genotype/phenotype correlation focuses on systems biology and approaching these disorders as complex traits. The Mason Group designs, creates, and studies colloidal architectures and their physical properties. 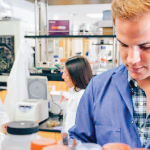 The Tamanoi Lab researches TSC/Rheb/mTOR signaling pathways, nanodelivery, and protein lipidation inhibitors. 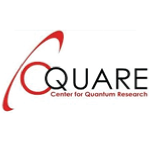 CQUARE is a comprehensive metrology and characterization facility for magnetic, spintronic and solid state research. The presentation room is a multi-use space that the Art|Sci Center uses for events, lectures, screenings and regularly scheduled Leonardo Art Science Evening Rendezvous. 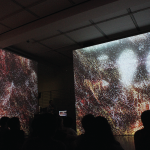 The EDA (Experimental Digital Arts) is a lecture room and experimental space designed for multi-disciplinary lecture presentations and exhibitions located in room 1250 near the ground floor entrance of the Broad Art Center. 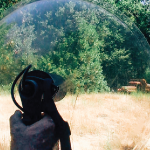 As part of the Department of Design | Media Arts, the EDA was established in 1999 by Professor Victoria Vesna as a space to encourage dialogue between disciplines and experimentation with new technologies. 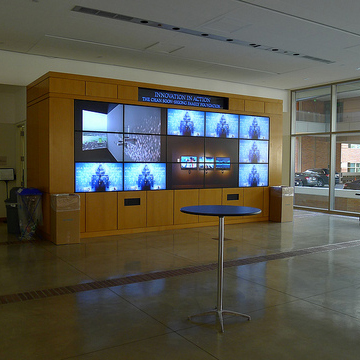 Screenings, presentations, and live streams occur on the CNSI Video wall, consisting of 15 LCD screens that greet visitors to the CNSI Lobby. 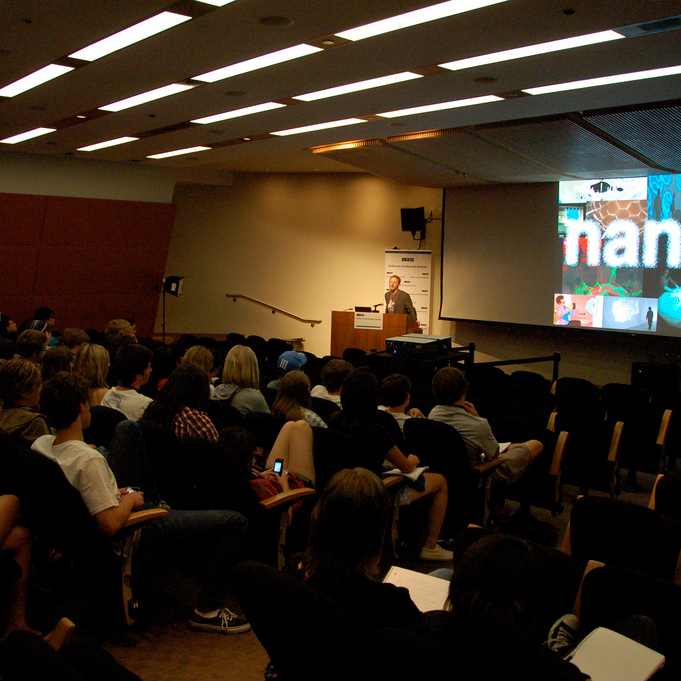 Many lectures, screenings, symposia, and events occur in the CNSI Auditorium, including the Sci|Art Nanolab Summer Institute presentations. 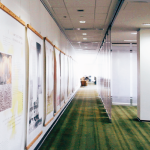 The Biomedical Library History and Special Collections for the Sciences is located on the fourth floor of the Louise M. Darling Biomedical Library. 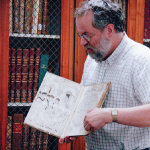 It houses a unique collection of historical medical texts, prints, and artist books that relate to the biomedical field. A private, non-profit institution that works internationally to advance conservation practice through research and education. * Art|Sci has access to these facilities with prior arrangements on a case by case basis.